Malayalam filmmakers are known for their distinct, artistic, and literary films. Falling right in the middle of this category is the man Shyam Prasad, who won many National film awards and from the Kerala state film awards. Shyam Prasad who is reputable among Malayalees living around the world for his work in the films like Agnisakshi, Akale, Ore Kadal, etc., is the director of the current film “Hey Jude”, starring Nivin Pauly, and Trisha Krishnan. Just like many of his films hold a distinct feature, the story of this film revolves around a mathematical genius with Asperger’s syndrome and a musician suffering from Bipolar Disorder. The film which has been released in February earned great reviews from the top reviewing websites and the critics. Nivin Pauly who is reputable for his roles in films like Bangalore Days, Premam, Om Shanthi Oshana, etc. plays the character of Jude in this film. Trisha Krishnan (Crystal) is the lead actress playing the role of musician diagnosed with Bipolar Disorder. The film is mostly shot in Goa and is filled with exquisite shots and scenarios heightening the audience’s indulgence. The film marks Trisha Krishnan’s debut in the Malayalam Cinema. The story is written by Nirmal Sahadev and George Kanatt and is directed by Shyam Prasad. The music was composed by Gopi Sundar, M Jayachandran, Ouseppachan, and Rahul Raj. 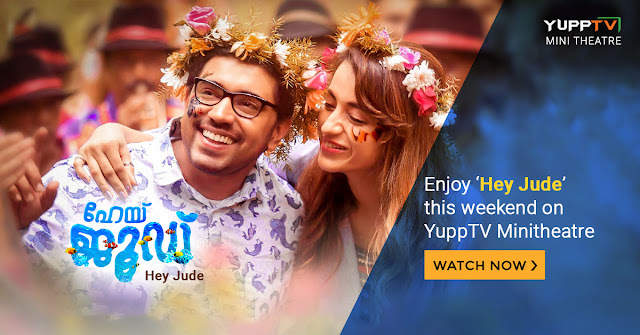 “Hey Jude” is now available to watch in HD on YuppTV Mini Theatre for a small price. So, Enjoy your weekend watching the best of Malayalam dramas released in the recent times.